rew Angerer/Getty ImagesAmazon CEO Jeff Bezos. 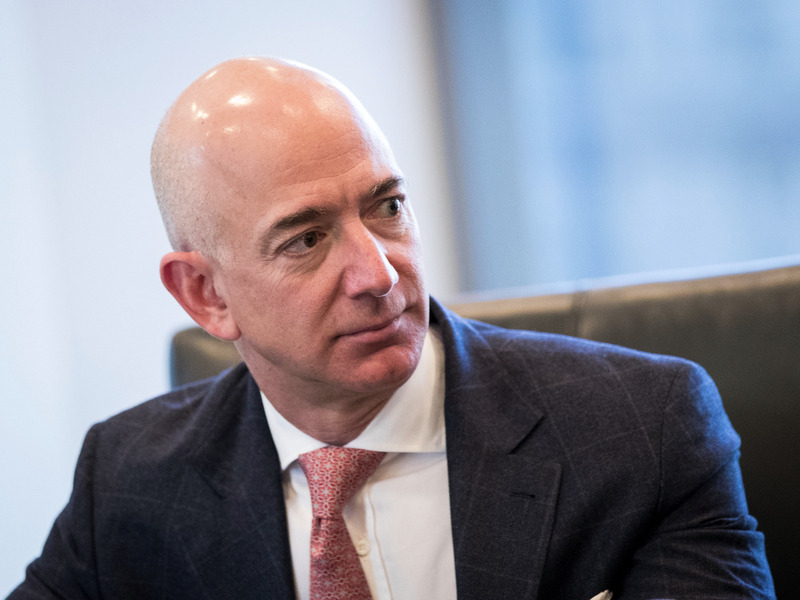 A $US13 billion hedge fund says there’s an aspect to Jeff Bezos’ bid for Whole Foods that is “pure genius” — the fact that Amazon is valued so highly by the market. Highfields Capital Management, a Boston-based hedge fund that flies under the radar, sent a letter to clients this week that lays out the reasoning. A copy of the letter, which is private, was reviewed by Business Insider. A Highfields spokesperson declined to comment. Jacobson also highlighted his concerns over quants — one of the biggest trends in investing — in his letter to clients. The Highfields Capital IV LP fund, the firm’s biggest fund with about $US5.6 billion under management, returned 1.2% for the first half of the year, according to investor documents. That’s compared to a 9.3% gain in the S&P 500 and 11% gain for the MSCI World Index over the same period. clusterstock-us hedge funds moneygame retail t.i.